Bring the home of Manchester United to your front room with the 3D Old Trafford Puzzle. 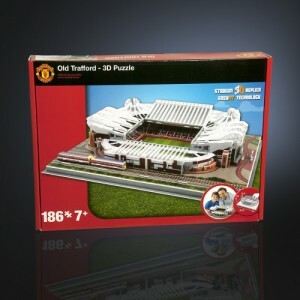 Re-create one of the Premier Leagues most famous stadiums in the comfort of your home, a fantastic gift for any Red Devils fan. Roooooooooooney! * No puzzle glue or tools required to assemble, just a little patience!